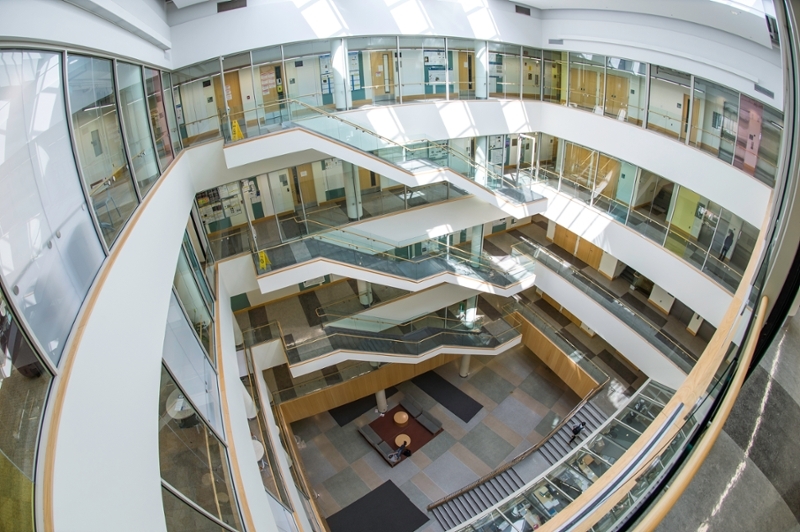 With access to 40+ laboratories, students tailor their education and research experiences. Research includes biomechanics, biomedical acoustics, neuroengineering, medical imaging, biomedical nanotechnology, biomedical optics, and regenerative medicine. BME Seminar: Jonathan Lovell, University at Buffalo, "Bioengineering using porphyrin-phospholipid liposomes"
BME Seminar: Kenneth Henry, University of Rochester, "Perceptual consequences of auditory-nerve loss: new insights from an avian speech mimic"
BME Seminar: Mary Beth Monroe, Syracuse University, "Shape memory polymer foam for hemorrhage control"
The BME Department invites applications for Graduate Program Administrative Assistant, Staff Accountant I, and several postdoctoral positions. For young children with developmental disabilities, learning to walk can be a long-term process. 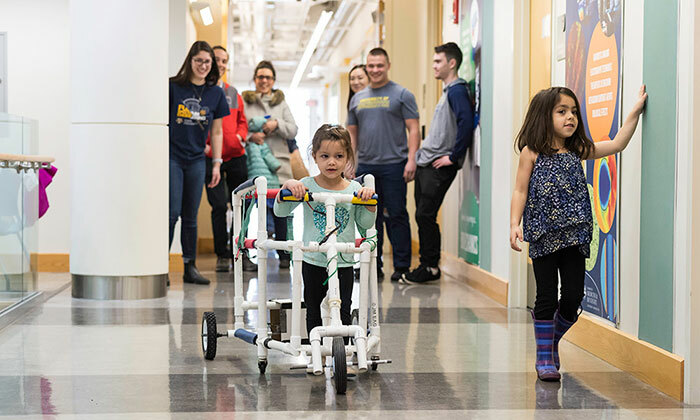 An inexpensive, “hybrid” walker designed by a team of biomedical engineering seniors can help. Check out the Fall 2018 issue of the BME magazine to meet our three new faculty members, catch up with our talented alumni, and read about our students who are taking a stab at some of the world's largest engineering problems through the Grand Challenges Scholars Program. This year, our BME faculty members have had great success in securing new funding for research and also developing exciting new industry partnerships to translate their research advances to commercial products and clinical practice. Congratulations are in order for many of our BME students, faculty, and staff as they continue to garner numerous awards and honors. The distance between Goergen Hall, home to the Department of Biomedical Engineering, and the University of Rochester Medical Center. Less than a 5 minute walk, this close proximity makes it easy to connect with clinician colleagues. 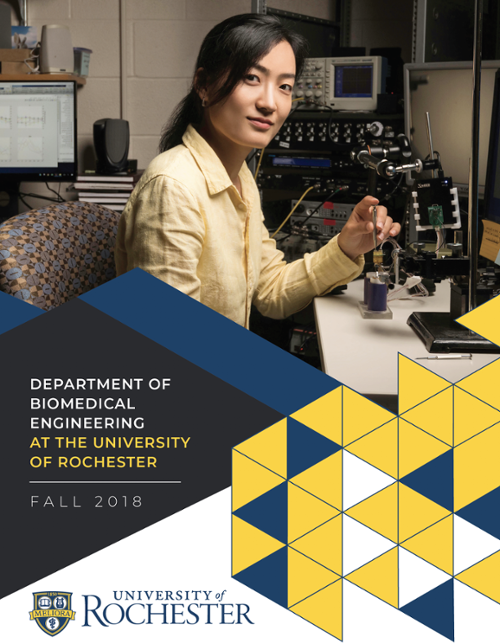 The Department of Biomedical Engineering brings together the technical expertise of the Hajim School of Engineering and Applied Sciences with the clinical experience of our University of Rochester Medical Center to establish a cooperative environment that fosters innovations in medicine and healthcare. 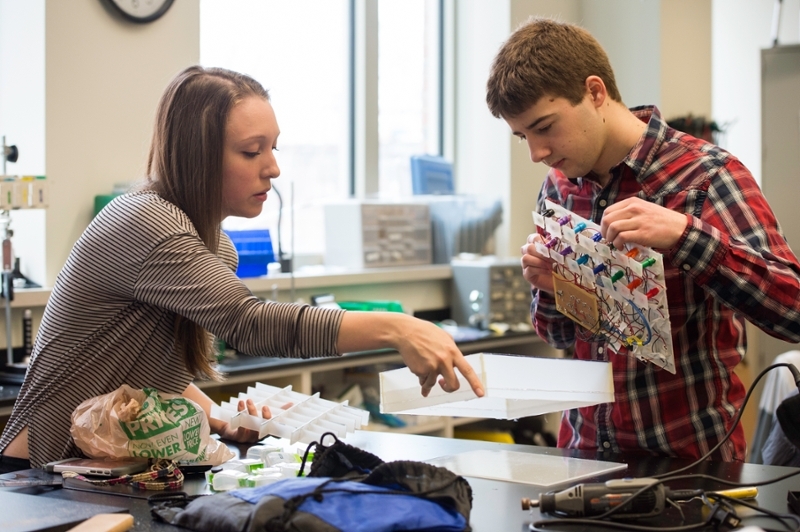 Want more information about the Department of Biomedical Engineering? Contact us.